A new patent by Apple promises to bring a challenge to ever-developing NFC technology, but is it too late? NFC has been in the news for ages, but it hasn’t fully taken off. It was disappointing when the iPhone 5 didn’t come NFC-enabled, but the technology itself has some kinks and the biggest investors, operators and technologists have been loath to sink real money into its development. Business models for NFC haven’t been established, there are no real case studies and mobile network operators’ pricing strategies pose high barriers to entrance. The level of uncertainty simply hasn’t allowed for the large scale investment in NFC development necessary to really kick-start the phenomenon…until now. Latent in NFC is the power to transform the way we shop. Impending universal currency might be causing a frenzy among Rapture-focused evangelicals (they’re scared of electronic forehead implants…no, really), but huge companies have already made strides toward a world in which our currency is carried digitally in our phones. At this point, Google Wallet and Apple’s Passbook, along with other companies like Square, have already transformed our smartphones into payment devices and have changed the way we pay for our lattes. The truly mobile wallet seems an inevitability. A forecast from the U.K.’s ABI Research predicts that mobile payments will jump from $4 billion this year to $100 billion in 2016 – and to $191 billion by 2017. This summer, a company called Protean announced plans for their Echo card. This metal card is reprogrammable via a mobile app, and it allows consumers to “load” multiple credit cards onto the single card. In order to select a payment method, the user simply switches the method in-app. While the idea of a mutative metal card might captivate fashionable spenders (we all know someone fixated on the “look” of their cards) and while it does make wallets a wee bit lighter, the technology doesn’t eliminate the need for a physical wallet or payment. That said, Echo remains a really cool use of dynamic stripe-powered cards that greatly appeals to my nerdiness. Now, the Isis Mobile Wallet has announced plans to take the truly mobile wallet live. Isis is a joint venture by Verizon, AT&T and T-Mobile that endeavors to place all of a consumer’s credit cards on a simple app, accessible at checkout via NFC. It’s a bit of a challenge to Google and Sprint’s joint Google Wallet venture, and it will be interesting to see how it fares with this level of carrier support. If you live in Salt Lake City or Austin, you can begin to use this technology in your city beginning on October 22nd. The Isis Mobile Wallet stores American Express, Capital One, and Chase cards (Google Wallet accepts Visa, Mastercard, American Express and Discover), and it comes with a reloadable Isis cash card. Offers, promotions and deals are also virtually filed within the wallet, potentially eliminating the hassle of coupon-clipping. The annoying loyalty cards crowding your keychain are also stored and accessible via Isis. The wallet can be used with Isis-enabled merchants, and checkout occurs via NFC. By the end of the year, Isis should be available on 20 different handsets. For consumers wary of storing such sensitive information on their phones, the Isis Mobile Wallet comes with remote wallet locking (just one call suspends all use Isis), PIN protection, and “extra safeguards” that purportedly make the Isis Wallet safer than physical credit cards. While the program is still only testing in Austin and Salt Lake City (only on certain phones, with certain cards and at certain locations), mobile wallets – whether Isis or Google or others – have certainly moved from a dream to actuality. Advertisers who are savvy enough to plan for this burgeoning mode of transaction stand to make bank. Caribou Honig, co-founder and partner of venture firm QED Investors, wrote in Forbes, “The mobile wallet will be more than an app itself: it will be a Payments Operating System.” What differentiates the NFC-enabled mobile wallet from its failed plastic tap-to-pay predecessors is the innovation set to come from 3rd party applications tied into the wallet. Sure, financial institutions will be the ones laughing their way to the bank with oodles of cash gleaned from transaction fees and the like, but advertisers also stand to gain tremendous revenue from the opportunities to come from mobile wallets. Can you imagine? A bevy of user information tied to personal smartphones and linked beautifully to a consumer’s preferred method of payment with social and location tied in, as Foursquare and AmEx have already done – it’s an advertiser’s dream. We’ll be closing ALL OF THE LOOPS. While consumers are justifiably concerned about the safety of their personal information on NFC-enabled mobile wallets, advertisers will sink their teeth into the behavioral data to come from mobile wallets, including purchase history and loyalty. The potential for targeted ads and the easy-to-reach point of purchase established by the mobile wallet should have a tremendous impact on the success of marketing campaigns. However, it will be important for marketers to remember to respect user privacy and experience while delivering impactful, curated ads. Advertisers will have to integrate their campaigns and media carefully and creatively into the mobile wallet so as to avoid completely disrupting user experience. Timing, subtlety, and restraint, I predict, will be the key to driving advertising revenue on the mobile wallet. As the mobile device becomes a mobile wallet, everything changes once again. As people rely on their smartphones as a payment utility, we must change the way we publish content, buy/sell ads, and utilize user data. With greater adoption and use of the mobile wallet, our smartphones will become even more personal and more guarded – all while opening new revenue channels for marketers. However, if advertisers aren’t keen to this change, they’ll surely be left behind; in fact, the truly mobile “first” companies have already begun to put money into the mobile wallet. The mobile wallet is no longer the payment method of the future; it’s happening now, and advertisers would be wise to begin to capitalize on its value. 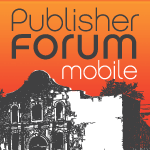 When our AdMonsters Mobile Publisher Forum sets up in San Antonio this November, our attendees will have the opportunity to test out Isis in nearby Austin. We’ll also be hearing from Thrillist’s Oleg Korenfeld on how media can be smoothly integrated into the m-commerce experience. I’m really looking forward to hearing what these mobile technologists have to say about the mobile wallet and how it will affect their own mobile revenue strategies. Hope to see you there!